Orthodontic research has shown that teeth continue to shift throughout life regardless of the type of orthodontic treatment provided. 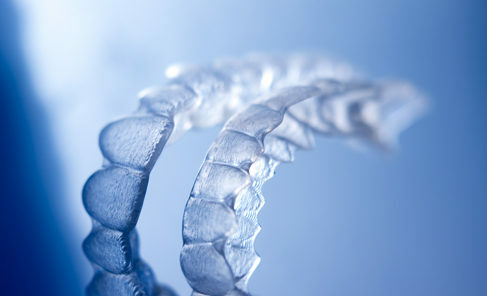 Therefore, retainers are essential to maintaining your smile and to keeping your teeth straight. The retention plan should be designed specifically for each individual depending on the type of treatment provided and the type of relapse expected. This is a critical part of orthodontic treatment that is unfortunately often overlooked causing relapse and creating the need for a second round of orthodontic treatment in the future. One of our goals at Band & Wire Orthodontics is to provide you with the best type of retainers that would be most effective for you and to continue to see you for an extended period of time to ensure the stability of your treatment result. 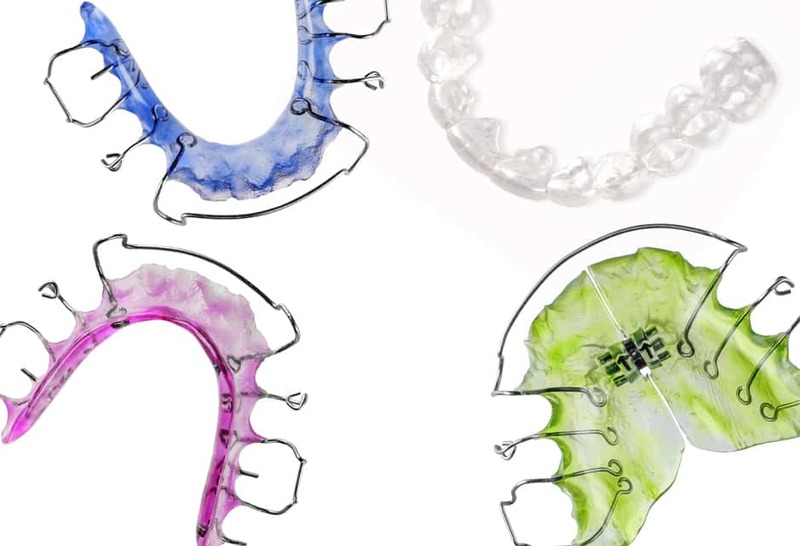 There are several types of retainers, each has its own pros and cons. The type of retainer(s) recommended for you will be discussed thoroughly in your smile consultation. 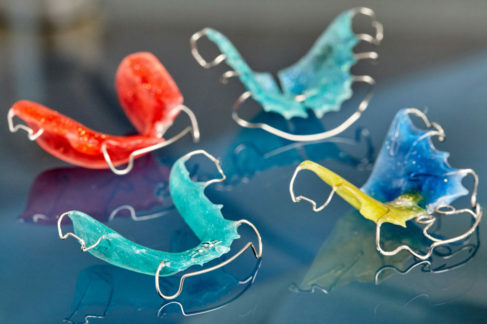 Clear plastic retainers are formed using a model of your teeth. They are clear, removable and barely visible. Research has shown that clear retainers are just as effective in maintaining the stability of teeth after treatment as traditional wired retainers. Permanent retainers are usually made of thin gold or stainless steel wires and are cemented behind front teeth. They are mostly used to hold the lower front six teeth although they can be used in the upper teeth in certain cases as well. Permanent retainers are safe, easy to maintain and very effective in preventing tooth shifting (relapse). For all of these reasons, we recommend using lower permanent retainers on almost all of our cases. 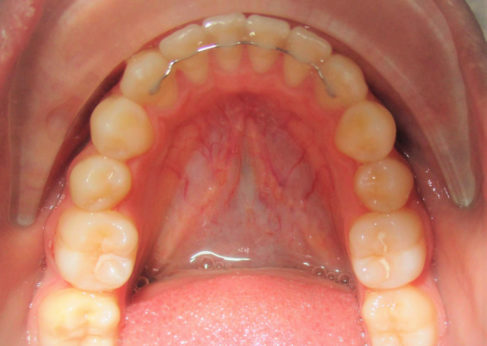 Traditional (Hawley) removable retainers are commonly used can can be the preferred type of retainer in certain cases. They consist of a plastic please that cover the roof of the mouth and a wire than wraps around the teeth. 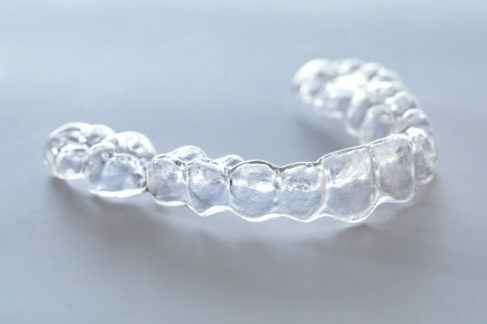 Vivera® retainers are made by the same lab that makes Invisalign®. They are high quality plastic removable retainers that can be used after orthodontic treatment with braces or Invisalign®. Spring retainers are a special type of removable retainers than can be used for minor tooth movement or correction. They can be a good cost-effective option for minor cases but results can be unpredictable.